Congratulations to Fabrice Soulier, Winner of Event #37: $10,000 H.O.R.S.E. Championship ($609,130)! 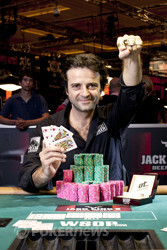 Finally, Fabrice Soulier has captured World Series of Poker gold! He did so by defeating a field of 239 other players in Event #37: $10,000 H.O.R.S.E. Championship. For winning the event, Soulier earned over $600,000 and his first-ever WSOP gold bracelet. 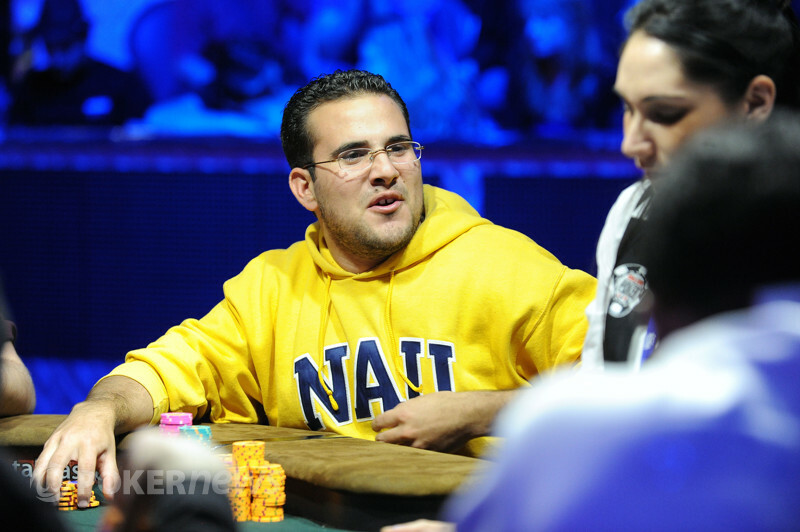 When the final table began, all eyes in the poker world weren't on Soulier. He, along with the other final-table competitors, took a back seat to Tom Dwan as the world watched to see if the young poker phenom could finally win a gold bracelet. Although Dwan held the a big stack during a good amount at the final table, he went out in fifth place and would have to wait to try again. Maybe not having the limelight on him helped Soulier buckle down and focus. While everyone was watching Dwan, Soulier quietly did his part and gathered chips. After Dwan went out, Soulier hung towards the top of the pack. He eventually found himself very short, but then battled to heads-up play against Shawn Buchanan. Soulier was down in chips to start the match, but he quickly made up the deficit and took the lead. Once he got the lead, Soulier never gave it up. He had Buchanan on his heels a few times, but couldn't hit the winning basket before the shot clock expired on the day. Coming back for Day 4 (the extra day), Buchanan had just under four big bets. From there it was over in just a few hands. On the final hand, Soulier rivered two pair in come-from-behind fashion and took the title. Congratulations to Fabrice Soulier and other of the other winners in this event. Be sure to stay tuned to PokerNews for our continued coverage of the 2011 WSOP! Fabrice Soulier had the button and raised. Shawn Buchanan called, and the flop came down . Buchanan led, Soulier raised, Buchanan put in three bets, Soulier made it four bets, and Buchanan called all in. Buchanan was ahead at the moment, but Soulier was drawing to both a better high and a low. The on the turn added to Soulier's outs, and the on the river gave him eights and sixes. 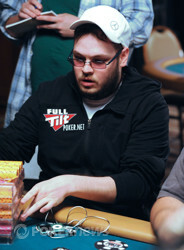 Soulier made the best hand, winning him the bracelet and a cool $376,458. For Buchanan, it's another runner-up finish at the World Series of Poker. He finished second in the $25,000 Six Handed event last year, and now has another second place - this time in the $10,000 H.O.R.S.E. Championship. Despite failing to win the bracelet, Buchanan earned $376,458 for his efforts, which isn't a bad chunk of change. Fabrice Soulier had the button, and limped in. Shawn Buchanan checked, and the flop came down . Both players checked, then proceeded to check the turn ( ), and the river ( ). Soulier opened up for queens and jacks, winning him the pot. It's Day 4 of Event #37: $10,000 H.O.R.S.E. Championship, and it's time to crown a champion. Shawn Buchanan and Fabrice Soulier are set to resume their heads-up match with the limits at 120,000/240,000, and start with Omaha Eight or Better.